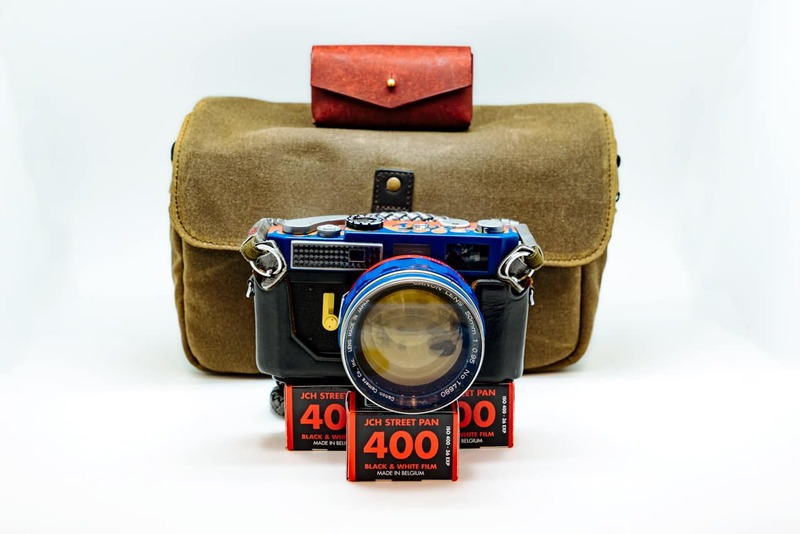 Ever wondered how to hack an old camera to work with more modern films? Well Joh Kossik knows how, and he shares his experience with us. This is very cool. Be warned, this post contained naked cameras and real maths. 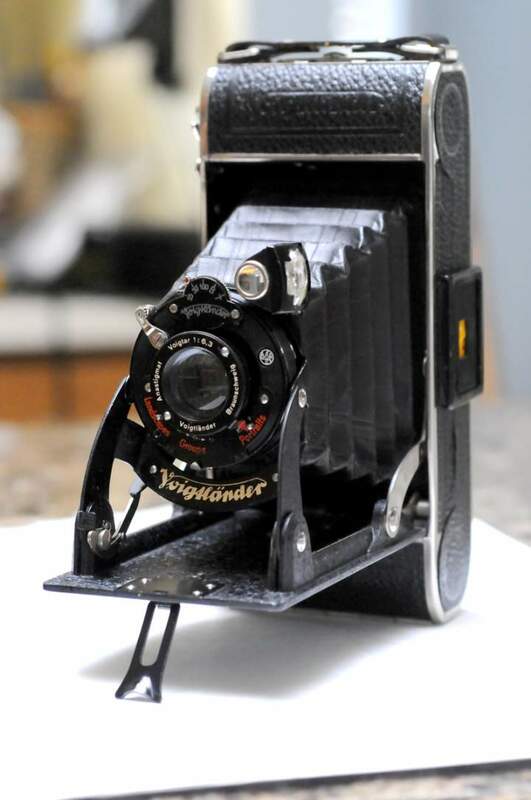 The Voigtlander Bessa F/6.3 camera was build in about 1930 and takes 116 roll film. I purchased mine from a sale for the members of the Puget Sound Photographic Collectors Society of which I belong. The camera was in remarkable shape with the shutter working when I purchased it for $15. The lens needed cleaning, the bellows needed checking for light leaks, and most importantly a modification needed to be made for it to accept modern 120 film. The viewfinders on this camera are just that, a way to get a rough idea of what you are imaging. 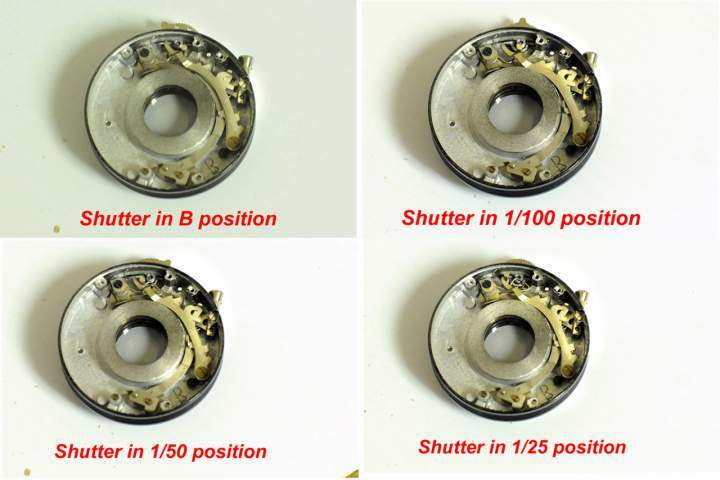 The shutter speed can be set at 1/25, 1/50, or 1/100 second and it also has traditional T and B settings. The aperture can be set anywhere between 6.3 and 22. The focus is accomplished by turning the outer front lens between markings on the camera between 7 ft and 33ft/infinity. 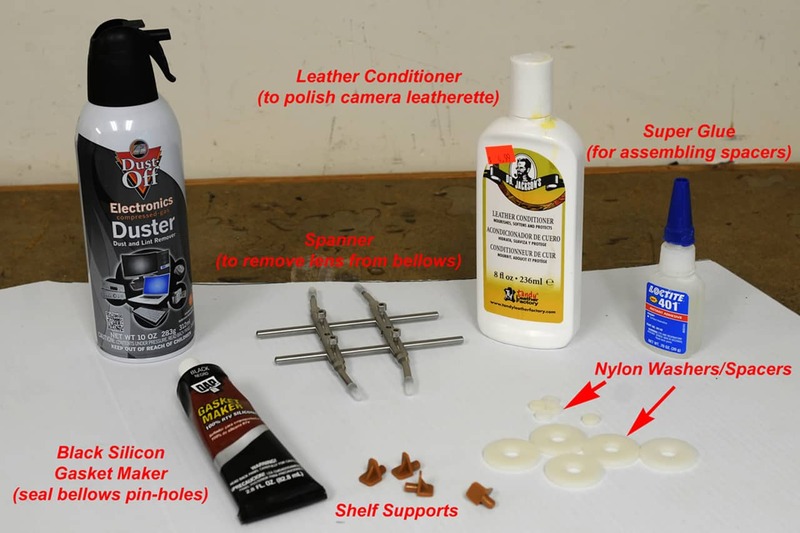 ￼Initial surface cleaning on the outer metal parts, leatherette, and bellow was done with a damp rag then with some leather conditioner. After some 85 years it is understandable that all three lens needed cleaning. To do so the front and back lens needed to to be removed. The inner lens could be cleaned in place. 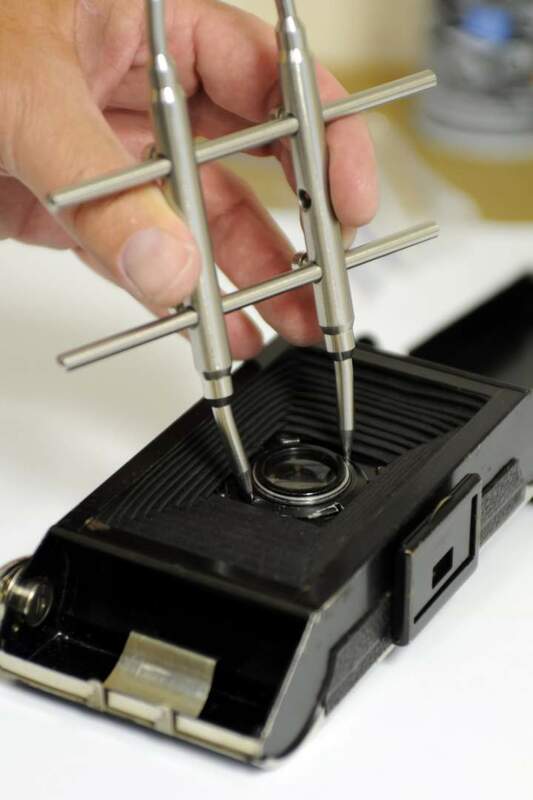 To remove the lens assembly from the bellows a spanner is needed. I would suggest that you use the pointed ends for this application not the flathead ones as when I used the flathead ones initially I damaged the bellows that I had to later repair. Note that the clearance between where you place the spanner and the bellows is still very tight even using the pointed ends so be careful not to damage the bellows. Eight-five year old bellows can be fragile. ￼After removal of lens assembly from the camera I proceeded to drop the assembly to the concrete floor of my shop. No visible damage but the shutter no longer worked. Seemed like a spring had just come loose inside. 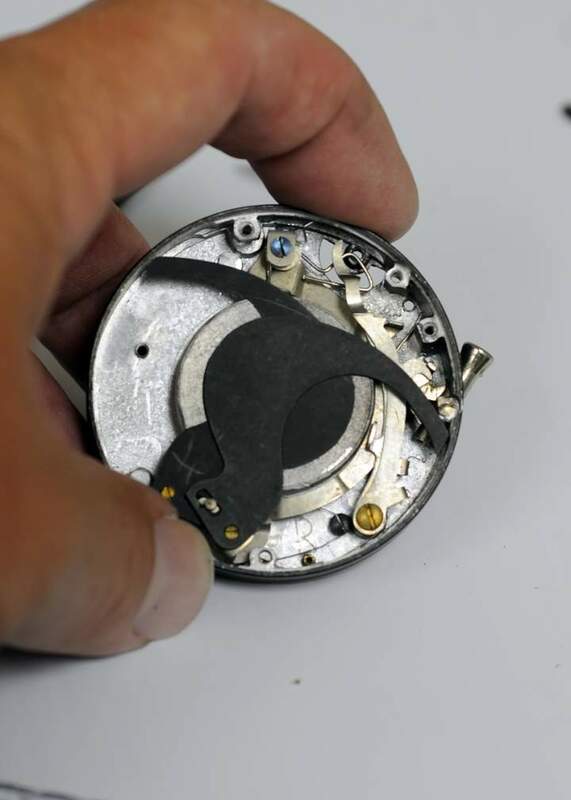 Hence another reason to pull this whole lens assembly apart. Upon taking this apart there be many a small item that of course there are no “spares” in stock so I watched them carefully. 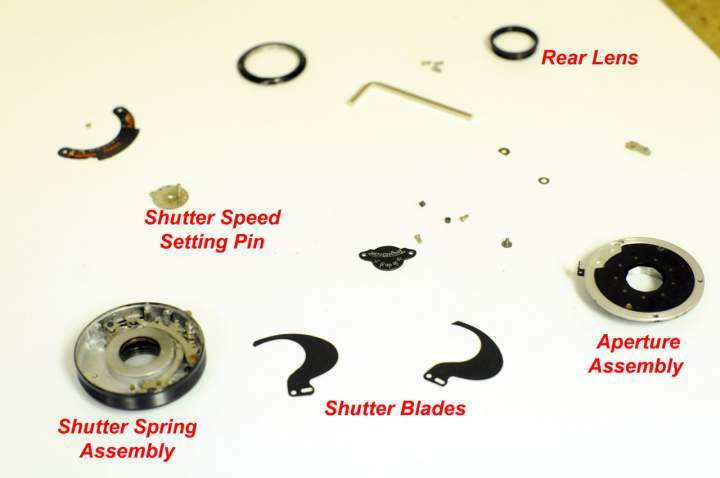 ￼￼This disassembly allows the front, back, and inner lens to be cleaned. I used lens wipes that are wetted with isopropyl alcohol. I am told that the aperture diaphragms will dissolved if they are touched by this material. I did not have that problem as the aperture assembly was removed from the lenses when I cleaned them. To fix the shutter I first had to understand how it worked as there are no manuals out there that I could find on this. ￼￼It is remarkable though how the interior of this 85 year old camera looked like it was brand new! You could even see the writing (initials of the assembler perhaps) on one of the shutter blades. 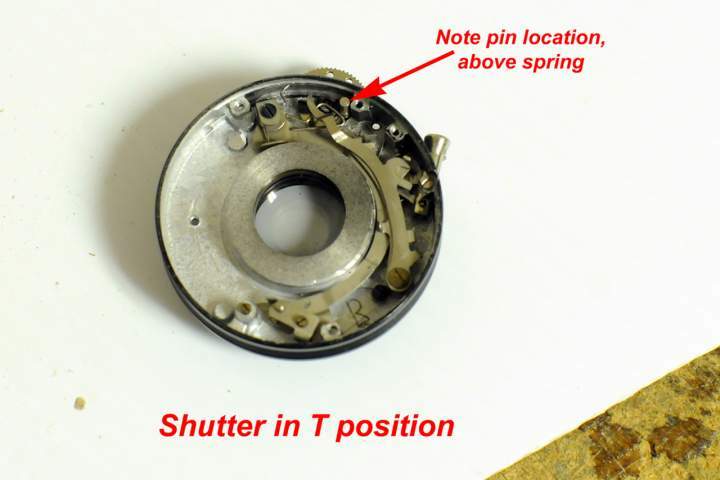 The key is where the shutter speed setting pin is located in relation to the spring as it is threaded through the front of this assembly. After some trial and error I found the correct position. ￼￼￼Reassemble the assembly in the reverse order. How to the shutter speeds compare to their markings? Well I tested them by recording the shutter sound and they ended up almost exactly on! ￼￼Wow! And that is after 85 years! Then again as we mentioned the interior of the lens assembly looked like it was brand new. ￼this is just one that I came up using stuff I could find at the local hardware store and could be modified with simple hand tools. To make the spacers I used nylon washers. I had to by two sizes, fitting one inside the other, to get the inner hole small enough. I glued these together with simple Cyanoacrylate glue (Super Glue). Now a tab had to be added to these to ensure that the tab stayed inserted into the 120 spool and rotated properly. 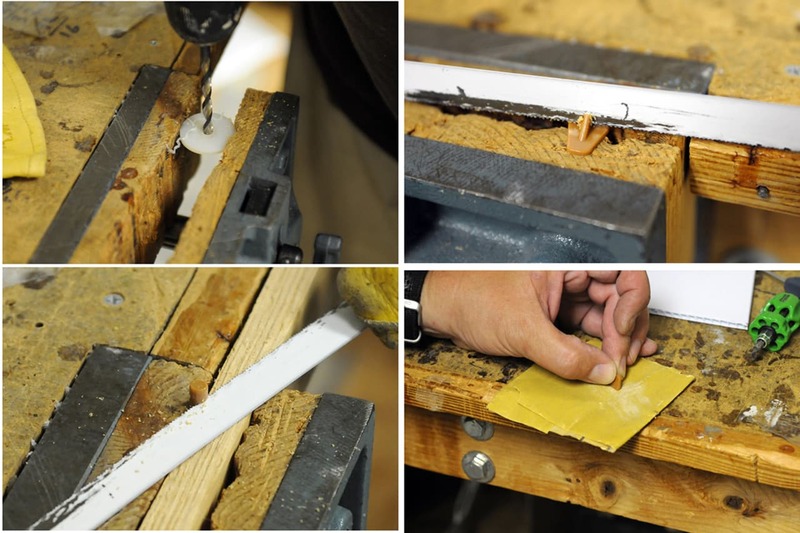 I made these tabs from plastic shelf supports because they were easy to modify using hand tools, were about the right size for a tab, and had a post that could fit in the hole provided. The post had to be trimmed and the hole enlarged but only slightly. The modified tabs were then glued into the earlier constructed nylon spacers. ￼￼￼Lastly one of the spacers has to have a slot added to it to accommodate the key in the camera housing to grab the take-up spool. This slot had to made manually via some trial and error using hand tools. After it was done the modified tab was re-installed. 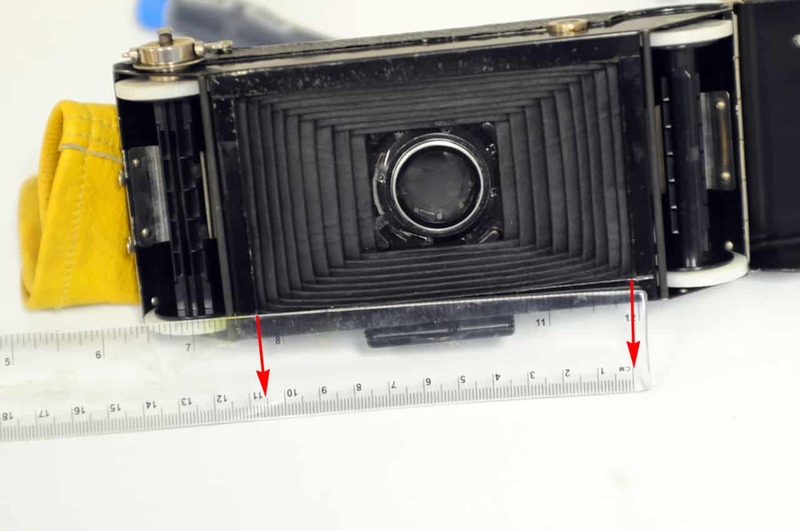 As mentioned earlier, upon removing the lens assembly from the bellows, the bellows was damaged. Taking a the camera into a dark room and opening up the back and using a flashlight (or torch as our friends across the pond would say) any pinhole light leaks can be found rom the inside out. Some black 100% silicon gasket maker was used for this. Remember to let it fully cure before closing camera. ￼￼To ensure no light leaks the red window to view the exposure numbers for the 116 was removed, painted black, and reinstalled. The 120 film being a smaller width would have allowed this window to fog the film. Film will just have to be advanced by counting the rotations of the take-up spool. All that is left now it the loading of the film. ￼￼Per suggestion on a modification of a No.1A Pocket Kodak the camera back was closed and the take-up roll was rotated 8-1/2 rotations. It is now ready for the first shot. 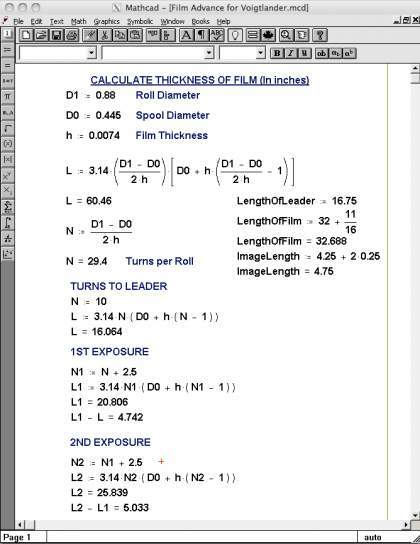 According to this same sight every subsequent exposure will require 2-1/2 rotations giving 6 shots per 120 roll. 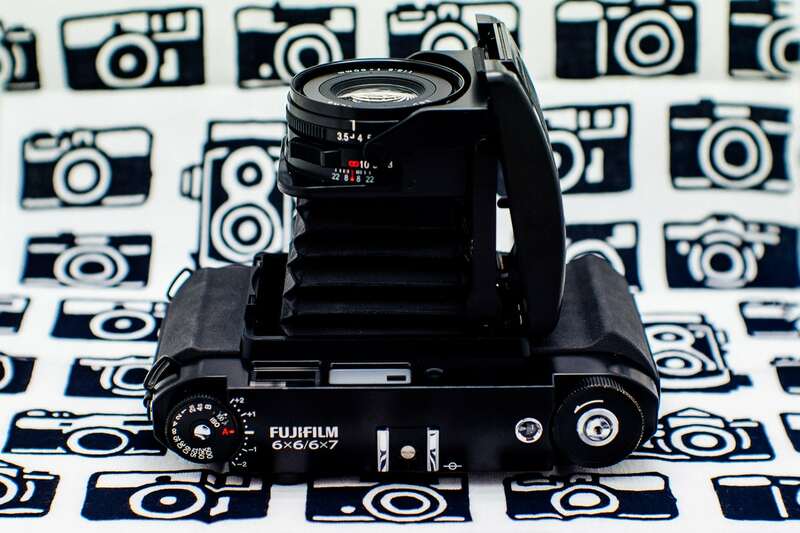 The wider and longer 116 format (2.5”x 4.25”) gives you a 6 x 10.79 sized negative for 120 film. Not large format, but the biggest I have in a camera that fits in your pocket. ￼The first roll shoot with this contraption was a roll of Kodak 100TMX. Should have gotten 6 images with a 120 roll, the only acceptable one is given below. Other images were out of focus, remember this is guess focusing. Had some problems with the amount of rotations per image as these will actually change, less for each subsequent image. I will have adjust this for the next roll. The verdict? Well for $10 not a bad camera. It will take a little more practice to get some more acceptable images but the panoramic type format is appealing and worth some more effort. 1.The hole for the cable release on this camera is smaller than you normally find (I have the same issue with my Agfa Record III) so 3 of my images in which I thought the shutter opened it never did. Should have tested this cable release prior to the first roll. I now found a cable release that will work with this camera. 2. The take-up spool did not roll the film tightly so every time I turned the spool 2.5 turns if advanced more and more film till I ran out before I hit 6 exposures. This also gave me some light leaks on the film edges when I unloaded it. I will have to look at the take up spool configuration again when I have some time and see why it does not roll the film tightly. 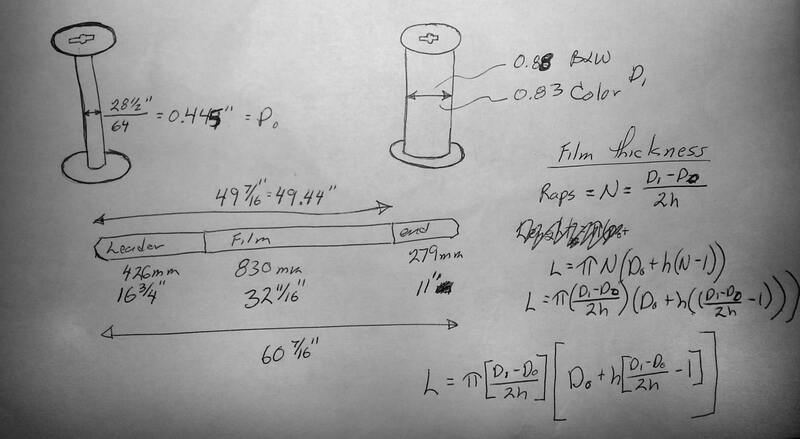 I have already recalculated how many turns-per-image I need to do (this of course gets less as the exposures increase due to the growing diameter of the take up spool). I will modify my technique on the next roll to accommodate this. 3. 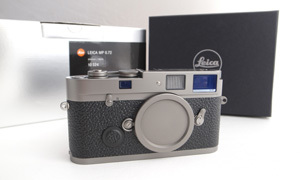 The film is probably not as flat as it could be in the image area. 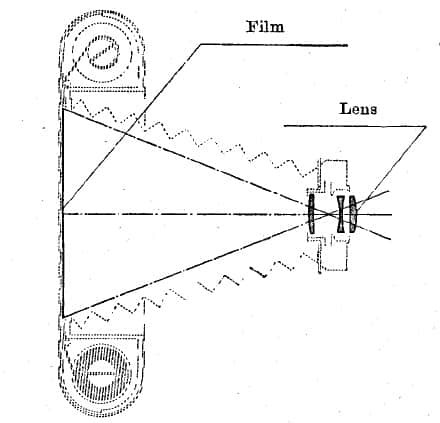 This is compounded by the fact that this camera does not have a spring loaded backing plate behind the image area thus you are just relying on the tension of the film to keep it flat. 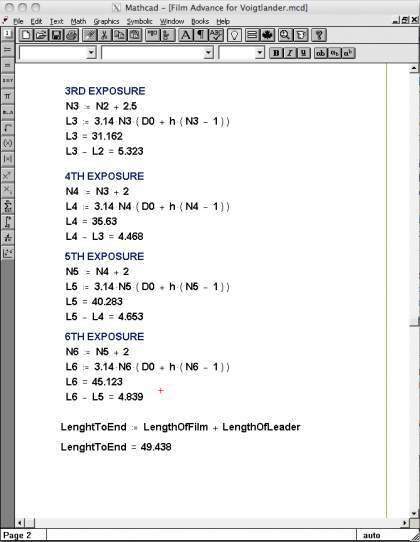 This combined with the fact that the image height is actually larger than the width of 120 film adds to the problem. 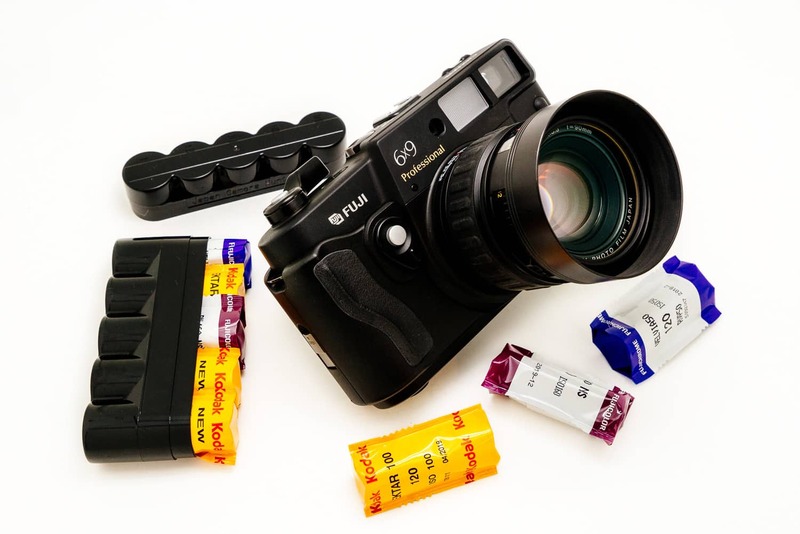 I will probably modify this image area before the next roll to make is the width of normal 120 film and might make some other adjustments to improve film flatness. That said it will never be as flat as the image area on my Mamiya RB67 but the film it loaded in that camera different from all my others where the winding tension actually presses the film against the backing plate. All the other film cameras I have, both medium format and 35 mm use a traditional backing plate configuration. 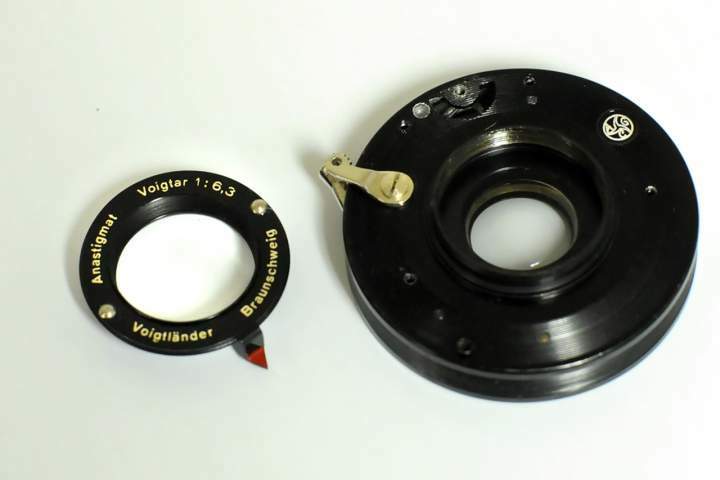 Heck maybe I will rig up some custom spring loaded backing plate for the Voigtlander to make it as flat as possible. 4. Because of the relatively slow fastest shutter speed of this camera and the fact that the focus is just by guessing the distance, I really think that considering my other film options I would probably only use this camera for landscapes (focused at infinity of course) on a tripod. That said the one image I have included was hand-held focused as infinity at 1/100 sec. 5. I will probably only use this camera with B&W film as it designed to be used with and the images just have a cool look to them. Though this does not really give me great images in my humble opinion yet, I will not give up on it. 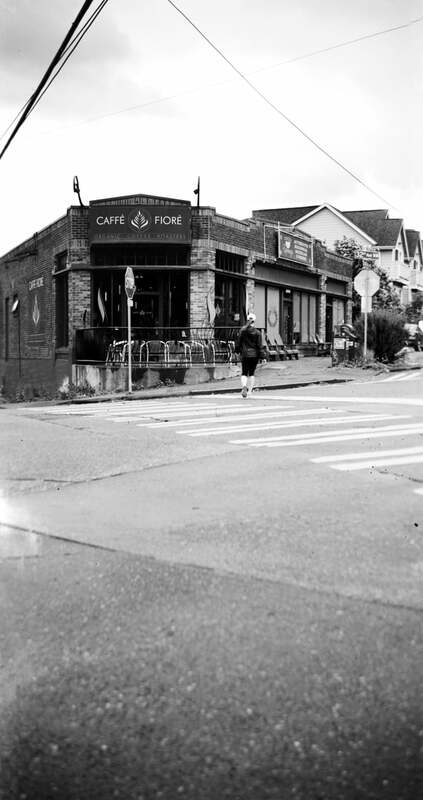 The fact that this camera format can supply negatives even larger than my 6×9 Agfa Record III in a very pleasing panoramic-like format means that it deserves a little more effort. When I get some time, which will take a while currently, I will make some modifications to flatten the film image area and improve my technique. Until then I will not be using this for any critical shots, but I am sure in that then this camera will produce some fantastic images. 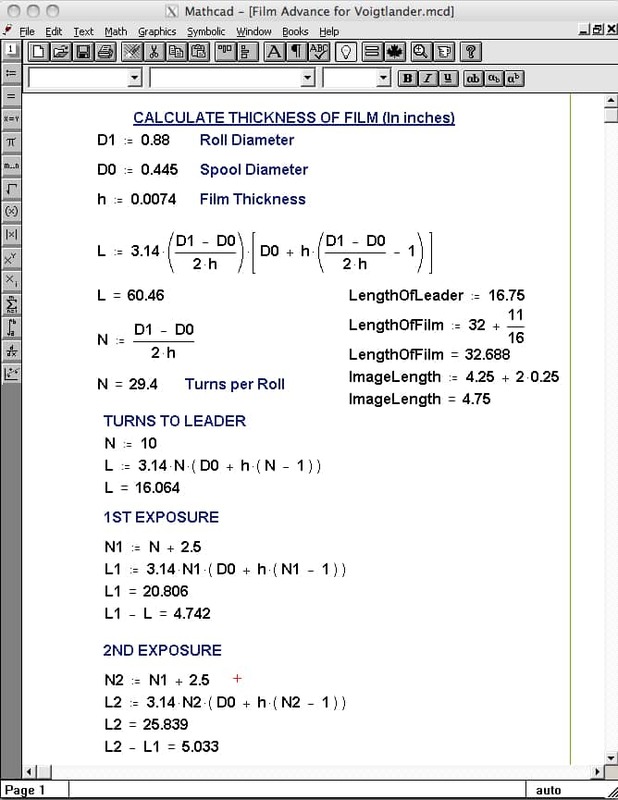 I did a few calculations and for this camera it looks like, if the take up roll is tightly wound, I should take about 10 turns to the leader, then 2/5 turns for the first 3 exposures, then 2 turns for each of the final three exposures. I modified the lead and take up spools tonight so the film should roll a lot tighter next time. Now I have to make sure that the film plane is flat. This camera has no pressure plate so I will probably rig one up using some 2 mm foam attached to the back of the camera with double sided tape. I am also going to have to put a little mask on the image area as it is too big for 120 film and allows the ends to curl. 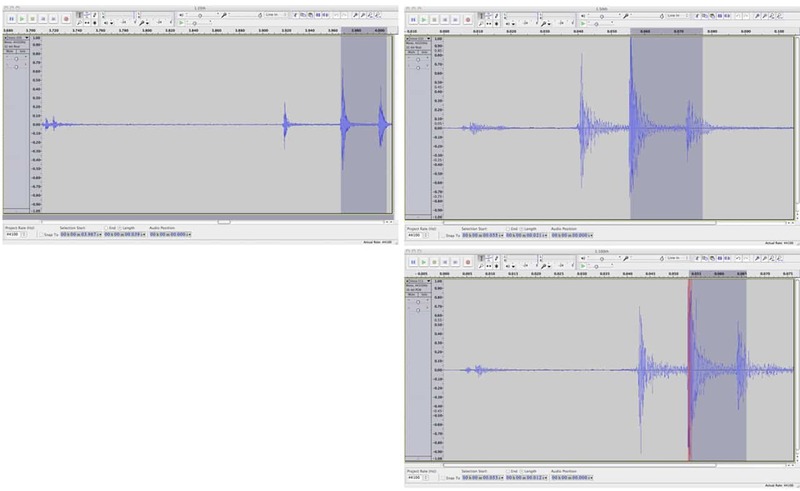 A big thanks to John for putting the work in on this fascinating hack, and for recording it so meticulously. If I had the nimble fingers I would try this. But as anyone who knows me can attest, I am totally cack-handed. Awesome work. Great article. Keep it up. Very interesting and ingenious. It’s got me thinking. Instead of counting turns of the film advance knob, it might be possible to use the 12 on numbers to space each exposure, winding to 1, 3, 5, and so on. You would need to insert another window, of course.